Aslockton & Orston Football Club was formed in 2000 with the old name of Aslockton Cranmers FC. The initial team was created out of the primary school in the village for players at Under 8, who entered the Young Elizabethan League. This team went on to be very successful over the year and the club was built around it. New youth teams were set up and the club went from strength to strength. Since the beginning the club has had various adult teams, of both Saturday and Sunday football, but unfortunately none of them lasted. However, prior to the 2016/17 season, chairman of 10 years, Martin Hallam, formed the new senior side which plays in the Central Midlands League. Martin joined the club in 2001 as a team manager and secretary. His eldest, James, joined the club at the same time as an U10 player and now captain’s the First Team, as well as taking on the roles of club treasurer and managing fundraising and projects. Several players returned to the club who had played in the past as a youth player, including his two sons. The side played in the Notts Senior League Division 2 for the 2016/17 season, finishing fourth. This was an excellent achievement for a very young side in their first season together, especially with many players in their first year of senior football. The team had an excellent season in the cup also, as they went on to win the Nottinghamshire FA Saturday Minor Cup. The squad that year contained 17 players who had previously played for the club at a youth level. That shows the attraction of the club, and the gaffer. Before the 2017/18 season the club changed its name to Aslockton & Orston FC. This was due to the huge amount of support received from the village of Orston and because the home ground is in Orston also. The club has had an ongoing project for several years to build a new pavilion which could be a community facility for many uses. Thanks to funding and support received the club has finally been able to complete the project and the new pavilion can now be used. This will benefit the club greatly in both the senior and junior sections, as well as the local community who are able to use the facility. The club was accepted in to the Central Midlands South Division for the 2017/18 season, which was a huge achievement and certainly deserved thanks to the work of those involved in the club over the years. For the 2018/19 season the FA made the decision to move the team into the Nottinghamshire Senior League Premier Division which is also a Step 7 league. This means less travelling and the committee are looking forward to playing in the NSL once again. There has been a football club in the village of Awsworth since 1935 when Awsworth and Cossall United was formed. Awsworth Villa was formed in 1963 as a youth side, under the guidance of Dennis Slaney. The Slaney name has been linked with the club ever since, and it's Dennis’ son Malcolm who is our Honorary Life President, having filled every role in the football club at some point since playing his first match in our debut season as a senior side. The senior side began in the Spartan League before joining the Notts Alliance. Awsworth Villa then joined the Nottinghamshire Senior League on its formation in 2004. The club play at The Shilo recreation ground. The ground is owned by the local parish council after it was donated by the National Coal Board in 1985. Recently, the club has gained some unparalleled success. Firstly, the reserves side won the Nottinghamshire FA Junior Cup in 2011. In 2016, the first team went on to win the NSL Senior Cup against Real United. Bingham Town has had a team since the 1950s, later followed a Sunday side which ran for many years under the management of David Ingham. 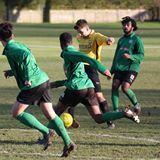 The current Saturday side was created in 2010 by Andy Shipstone as a team for the outgoing U18s from the youth section to continue to play. The then Sunday side disbanded with players joining the Saturday side. Bingham Town were accepted to the Nottinghamshire Senior League Division Two four years ago after two seasons in the NAA. Under Andy Shipstone, Bingham maintained a reasonable standard when, two season ago Chris North (ex Harrowby United and Stamford FC) and Mike Spencer (ex Grantham Town and team mate of Chris at Harrowby and Stamford) took over as managers, with the help of Jason Baxter and Mark Boyes (who have both experience at a high level). Bingham, in successive seasons won promotion from Second to the Premier Division and the Reserves joined the NSL from the NAA. In 2016 the team was taken over by Carl Smith with the assistance of David Ingham; Mark Boyes, with Andy Hallam and Chris Dawn taking charge of the Reserves. Dave Ingham then took over the team in January 2017 when Carl stepped down due to work commitments. For season 2017-2018 Chris Dawn stepped in as First team Manager assisted Dave Ingham and the return of Carl Smith and Mike Spencer in control of the Reserves. Football has been played in Keyworth since the 1875/76 season when a Keyworth FC team played in friendly matches. Over the following years they joined the Notts Amateur and Notts Alliance Leagues. Several players progressing to represent Notts County and Nottm Forest. From 1913 to 1918 the team became Keyworth and Plumtree United FC. Five of this team lost their lives during World War I, three from the same family. For the 1919/20 season Keyworth United FC joined the Spartan League and competed for the first time in the Notts Junior Cup. In 1936/37 the team became known as Normanton and Keyworth FC and after the 2nd World War they shared the Rectory Field with the Cricket Club and played in the Realm League. In the 1970’s and 80’s the club returned to the Spartan League and then to the Alliance again. They were Intermediate Cup winners in the 75/76 and 77/78 seasons. In 1976/77 the Club changed to it’s now familiar green, white and black strip having sported several other colours over the years. In 1978 they moved to their current Platt Lane home. The 80’s were a very successful decade. Many players representing the Notts FA. An estimated 2000 people watched Brian Clough’s Nottingham Forest side play Keyworth in a testimonial game for then manager Arthur Oldham. Former Notts County defender Brian Stubbs took over as manager for the 89/90 season. The former England, Everton and Forest player Frank Wignall became manager of the club in 1994. At this time the club had only four junior sides in the Young Elizabethan League. The late 90’s and into the 21st century saw more managerial changes and former player Robert Clegg appointed Chairman. This heralded the increase in youth teams. 03/04 saw the Club field 18 teams which included two girls’ sides. ​04/05 saw Keyworth United join the newly formed Nottinghamshire Senior League. In 05/06 the Reserves lifted the Notts Junior Cup and in 07/08 the 1st team were runners up in the NSL. In 2010 former Forest stalwart Frank Clarke opened the new Clubroom and changing rooms after the Club secured a hefty windfall from the Football Foundation. This era saw junior football thrive but both senior sides fought relegation. By the end of the 12/13 season the Reserve team was withdrawn from the League. After a period in the Central Midlands League the club are delighted to back competing at the top level of the Nottinghamshire Senior League in 2018/19. At the very first practice night over 150 youngsters turned up and it was decided to run three teams in the Notts Youth League at under 16's, 14's & 12's. Season 1979/80 saw the number of youth teams grow to five with a Saturday senior side also being established and joining the Central Alliance League as one of the founding members. In 1982 work started on building the Club Headquarters at St. Giles Park, the cost of the project was £40,000 with half the money being raised by Club members. The building work was carried out with the help of the Manpower Services Commission and was completed in 1984. The official opening on March 28th 1984 was performed by Peter Taylor and Roy McFarland from Derby County Football Club. Over the years many improvements have been carried out to the ground and facilities. These include posts and rails around the pitch perimeter, pitch shelters, new changing accommodation for match officials, enclosing the ground with a 2 meter fence and a covered area for 250 spectators. In 1995 floodlights were installed. Sandiacre Town are very proud of their links with other clubs, in the early eighties exchange visits took place with the Hurlford Boy's club of Kilmarnock. Then in 1984, the Club started an association with Sparta '25 of Holland which still exists today. Exchange visits take place in alternate years involving four of the youth teams – u12’s – u15’s. In 2017 over the Easter break, Sandiacre visited Sparta, with our boys being housed by hosting families during the course of their visit. This is a special trip for all involved and included a football tournament on Sparta’s home pitch, and a visit to PSV Eindhoven, amongst other social events. At the end of this season, we welcome our friends from Sparta to Sandiacre, with more fun activities planned and a chance for everyone to experience the club refurbishments that have been put in place over the summer. A newly decorated bar & club room, meeting room, kitchen, changing rooms & showers, toilets & outdoor seating area have all been installed – bringing the facilities in line with where the club want to be in years to come, both on and off the pitch. Wollaton FC were formed in 1954 and play at the Wollaton Sports Association ground, sharing the ground with Wollaton Cricket club. Wollaton is in an area in the west of the City of Nottingham. The Club is sited on land that was sold to the village for sports and recreational activities by the Middleton family just after the 2nd World War. Originally in the Midland Amateur Alliance and having enjoyed a long and successful spell in the MAA, the 3rd team still play in that League, Wollaton joined the Notts Alliance in 1990. Whilst in the Notts Alliance the club went from strength to strength with the pinnacle being 1999 -2000 when the club won the Notts Alliance Senior Division and also reached the semi finals of the Notts Senior Cup under Manager Paul Jepson. The club won the Notts Alliance Senior Cup 2000/01 with Dave Sands at the helm. Season 2004/5 saw Wollaton become one of the founder members of the Notts Senior League. Season 2004/5 saw Wollaton 1st winning both the Senior League and Senior Cup of the NSL Paul Walker as Manager and Basford Utd Chairman, Chris Munroe part of the Management team. Wollaton 1st team won the League title again 2005/6 with the Reserves winning the Division One Championship. The 1st team clinched the NSL Senior League Cup beating Boots Athletic 2-1 in the final at Hucknall Town in 2009. In 2008 the Reserve team won the NSL Junior Cup and again in 2013. 2014 saw the Reserves win the Nottinghamshire County Junior Cup, the first County Cup won by the Club under management of Dino Labatte. After finishing 3rd in the NSL 2011/12 the end of season saw the Manager and all 1st team players departing. 2012/13 and early 2013/14 was a difficult period but Andy Alls took over the Management in Nov 2013 and finished 5th. Season 2014/15 saw Wollaton win the double for the 2nd time with Andy Alls in charge. In 2015/16 they finished runners-up. The 2016/17 season saw the Manager and whole 1st squad leave to play Step 6 football. 2016/17 a young, ambitious team finished a creditable 5th. Top goal scorer Jake Fisher scored a league and club record of 56 goals. Manager Ben Moore and several players departed in the close season so experienced George Hulley took charge for 2017/18. The team had reasonable success but again all players and management team departed at end of season. Jamie Chaplin and Andy Miller have taken charge for 2018/19. The club is looking to re-establish its roots with the local community and is hopeful of bringing through younger players across the board with the three teams. Local ex player Richard Bradley has rejoined the club from Magdala Amateurs for 2018/19 and will manage the Reserves along with the experienced Rob Katchatour. The 3rds will play in the newly formed Midland Notts Alliance League in 2018/19. The Nottinghamshire Senior League are proud to be sponsored by Samba Sports, supported by Euro Soccer Company.